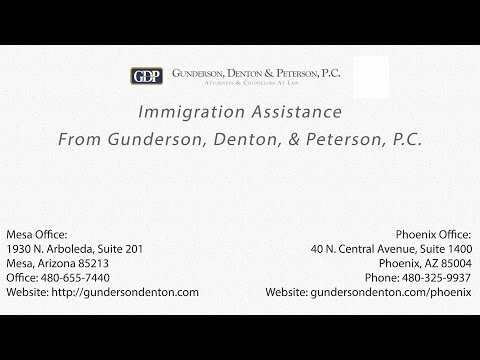 Video: Immigration Law at Gunderson, Denton & Peterson, P.C. at Gunderson, Denton & Peterson, P.C. Whether you are an employer concerned with your obligations regarding immigration and employment authorization, a student or potential employee trying to understand the immigration law, or are simply interested in assisting someone else in their immigration concerns, we can help. The laws governing family and business immigration are complex and often difficult to understand. Our Mesa Immigration Law Firm has nearly twenty years of combined experience in the immigration field. Do you have questions about the new Arizona immigration law? SB 1070 also known as the “Support Our Law Enforcement and Safe Neighborhoods Act” that went into effect July 29th and outlines the new regulations regarding illegal immigration. If you have questions regarding your immigration status or how SB 1070 will affect you and your family or your business, please contact our law firm. 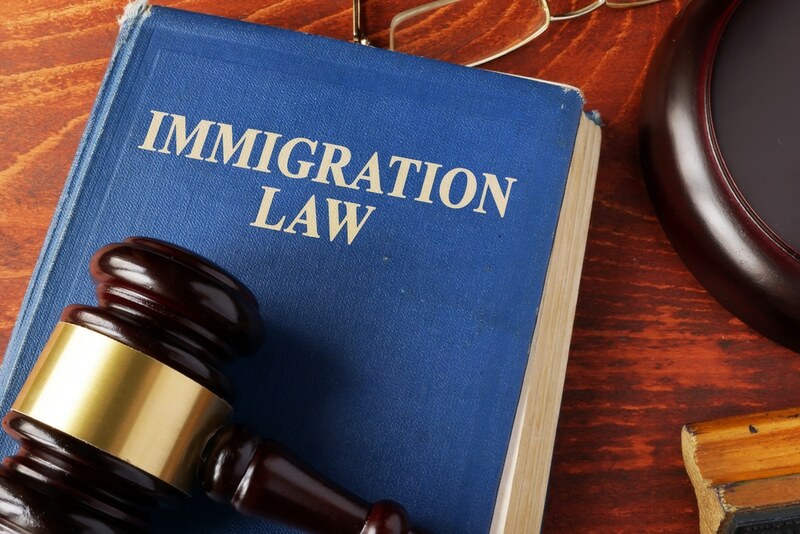 The Arizona immigration attorneys at Gunderson, Denton & Peterson are experienced in immigration law and can assist you in understanding and complying with this new law. If you are interested in opening a business in the United States, click here. Information about International Tax Planning and Offshore Trusts. Immigration law refers to someone from another country moving to the United States, either temporarily or permanently. The government regulates this area of the law closely. After September 11, 2001, federal legislation tightened restrictions and requirements for immigration in order to keep American citizens safe. The U.S. government considers several factors when permitting a person to relocate here. Family support and location, work history and financial solvency all play a role in the ability of a person to qualify to immigrate. However, the United States is known for welcoming those who need refuge or assistance from political or religious persecution. The government also considers the health and safety issues of refugees. Individuals who do not qualify based on what they can offer the U.S. can enter a lottery and gain legal entrance to the U.S. through that system. A family member with a spouse or child who is a legal U.S. resident or citizen takes precedence over more distant relatives. The family member or sponsor must submit a federal form which the government will either deny or accept. An immigration attorney who specializes in citizenship applications can help with forms and paperwork. The federal government recognizes five areas of work-related immigration categories. The applicant’s employer must fill out specific documentation and forms that the government will deny or accept. The federal government also occasionally approves qualified individuals who contribute to the U.S. economy through a capital investment. They must also submit proper documentation. Again, a qualified Arizona immigration lawyer can help with this process. As a small business owner in Arizona, what should I know about immigration law? Read the rest of As a small business owner in Arizona, what should I know about immigration law?